Hershey s Chocolate World Las Vegas is a unique and delicious retail experience that offers more than 800 Hershey’s chocolates and candies in the famous New York-New York Hotel & Casino. This West Coast flagship store spans two stories, 13,000-square-feet and offers exclusive Hershey s products, gifts, and delicious treats making it one of Las Vegas’ most popular tourist destinations. The store features a sculpture of the Statue of Liberty made out of almost 800 lbs. of Hershey s Milk Chocolate. Customize your very own chocolate bars, star in a Reese s Peanut Butter Cup TV ad, choose from a wide selection of tasty treats, and shop for your favourite HERSHEY’S gifts. It is sure to be a unique and unforgettable shopping experience! 8) A Kiss for You , Man and woman facing each other with a Hershey Kiss between them. 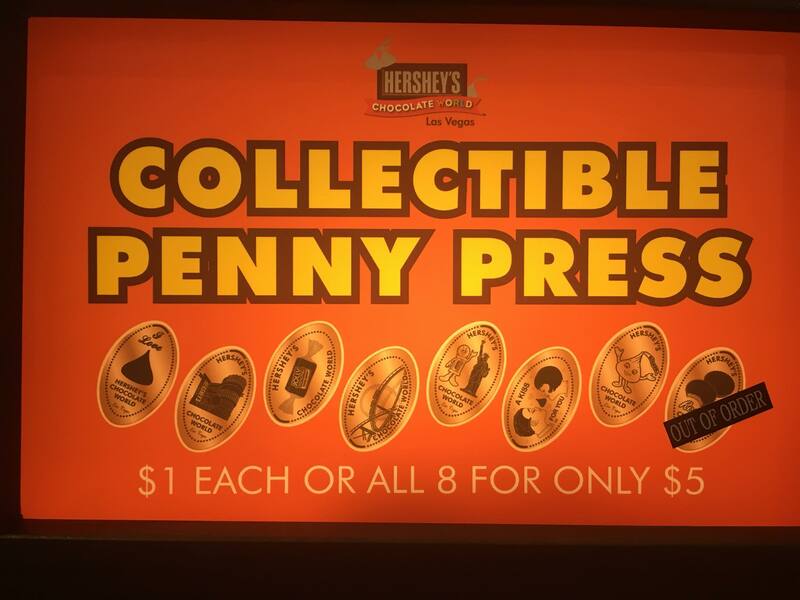 thegillion added hershey chocolate world las vegas to system.